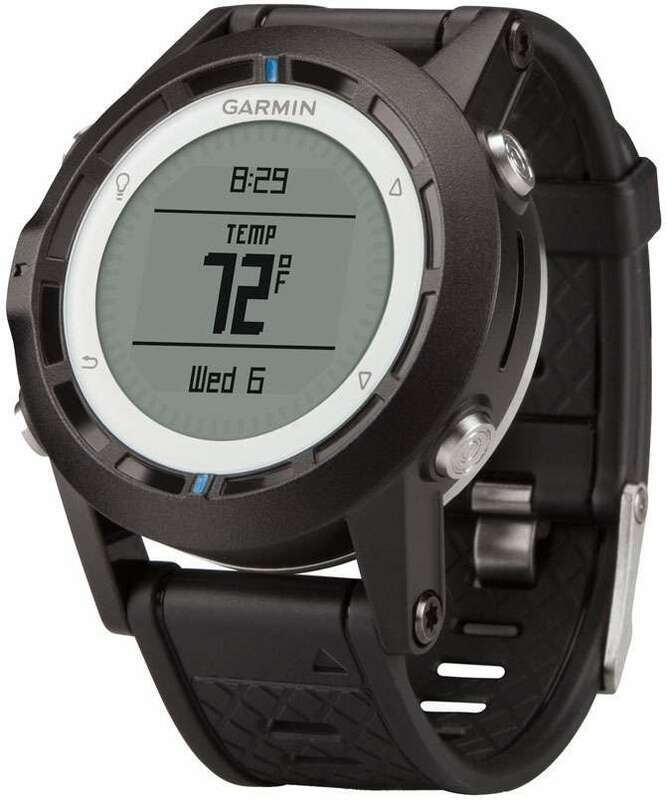 The Garmin 010-01040-50 Quatix Marine GPS Watch was designed for avid mariners of all types, from kayakers and dingy racers to power and big sail boaters. The quatix is a high-sensitivity GPS navigator marine watch from the world's most trusted name in GPS navigation. This GPS-enabled device provides an incredible range of marine navigation features including remote control of Garmin equipment, automatic MOB detection, and streaming NMEA 2000 data to a navigating marine watch. A highly accurate watch, the quatix also includes sailing features never before combined into a single watch, including race countdown timer, virtual starting line, tidal information, and tack assist. 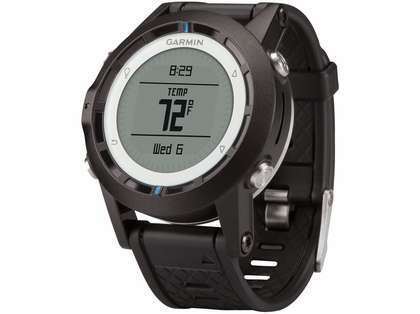 The quatix is also equipped with an automatically calibrating barometer and altimeter, temperature sensor, a 3-axis compass, tide information, and it also wirelessly shares data with other compatible Garmin apps. Stream NMEA 2000 Data to Your Wrist - When paired with a Garmin GNT 10 NMEA Transceiver (sold separately), you can wirelessly stream and view NMEA 2000 data, such as wind direction and speed, water depth, and more right on your wrist. Specialized Sailing Features - The Garmin quatix combines advanced sail racing tools for unparalleled awareness and a competitive edge during a racing competition. The quatix can easily set up a virtual starting line between 2 GPS waypoints. It then combines the starting line with the built-in countdown timer to calculate both distance to the line as well as desired speed and burn time available, enabling the vessel to cross the line at maximum speed at the exact starting time. Once the race has begun, the watch switches to Tack Assist mode and indicates whether the vessel is getting headed or lifted based on the optimal tack angle provided, making for a more efficient and controlled sailing experience. Autopilot Remote Control Functions - This amazing watch features built-in remote capabilities, allowing you to control a Garmin autopilot so you can move around on the boat while having information and control on your wrist. Automatic Wireless MOB Activation - The quatix will automatically send an MOB alert to the chartplotter if a crewmember wearing a quatix fall overboard, (requires GNT 10 NMEA Transceiver sold separately). Plan or Review Your Journey at Home - With HomePort marine planning software (sold separately) you can plan or review your adventures from your Windows or Mac computer. Create your course and download it to quatix.